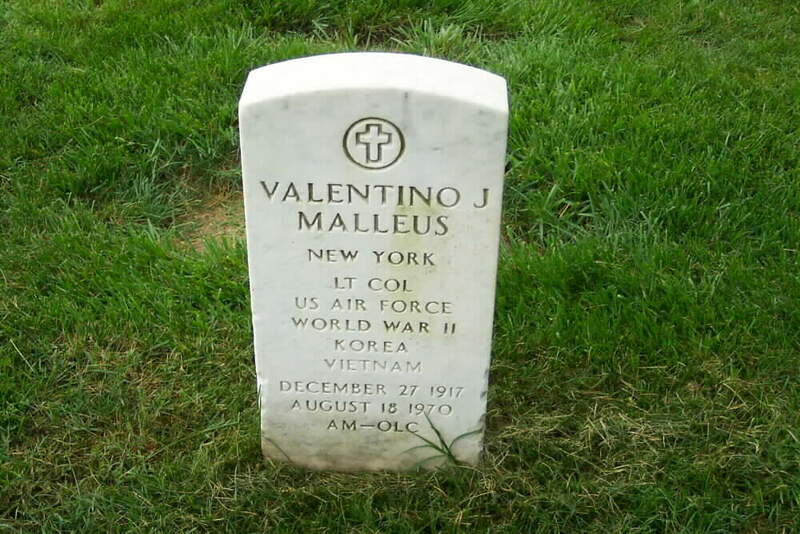 Valentino J. Malleus was born in New York State on 27 December 1917. He served in World War II, the Korean War and the Vietnam War. 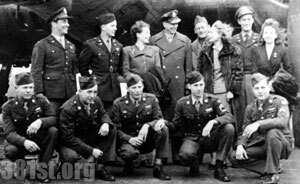 He was the recipient of two awards of the Air Medal. The Colonel died on 18 August 1970 and was buried in Section 46 of Arlington National Cemetery. Should you have information regarding the Colonel, kindly contact the Webmaster. Clarence Bankston-Ground Crew Chief, Anna Neagle-Actress, Jeremiah O'Neil-CP, Patricia Roc-Actress. Front (L-R): Charles Majors-Togg, Clovis McComy-RO, Jay Smith-WG, Carl Hall-ETTG, Guy Stubblefield-TG.